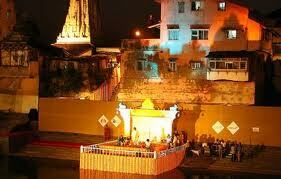 Banganga Music Festival Mumbai is Celebrated in January month Every Year. Banganga Festival in Mumbai is one of the most awaited festivals which are celebrated in the month of January for 2 days every year. The venue for this musical event is the picturesque Malabar Hills. The festival is organized by the Maharashtra Tourism Development Corporation and the motive behind this festival is to boost travel and tourism in the state. The festival pays tribute to the heritage of Mumbai through the medium of music and rhythm. 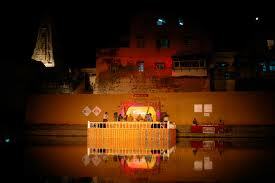 It owes its name to Banganga Tank which is a sacred tank in the Walkeshwar Temple complex. The other motive of the festival is to promote awareness about the tank and its conservation. According to the legends, the tank has been associated with Lord Rama and this fact makes the festival more appealing. The tank includes a number of Temples within its complex and it also serves as the perfect background for the musical extravaganza. The Banganga Festival was first organized in the year 1992 and since then it has become a part of the festival calendar of Mumbai each year. During the festive time, the venue is adorned with decoration, lights and flowers. The whole atmosphere is exhilarated and enlivened by the brilliant musical performances that are conducted by the leading singers as well as the promising artists. This means that reputed as well as new comers are given a chance to perform in the presence of the general audience and the eminent personalities. The special attraction of the event is the classical music concerts. This vibrant festival is also graced by the presence of personalities from the realm of music and dance. So, the festival can also be considered the meeting point of different musicians and artists. Thus, the Banganga Festival is one of the most popular festivals in Mumbai and it highlights the performances of the leading Indian classical music maestros. Indian Memoirz provides an excellent opportunity to the people to spend some quality time in the house of God through the medium of this festival and that too amidst the recitals of the soothing classical music. Indian Memoirz invites you to the Banganga Festival in Mumbai where you can appease your soul with the music and also your eyes can take in the mesmerizing view of the sunsets. According to the legends, Banganga, the gorge emerged when Lord Rama shot an arrow at the site, so as to satisfy his thirst for water. According to legends, the Walkeshwar temple was built by Lord Rama, who sent his brother Lakshman to Benaras to get a Shivalinga to be established here. Before it could be brought here, an alternative linga was placed at the site made of sand. And the name Walkeshwar cropped up as in Sanskrit Valuka Iswar meant idol made of sand. About the appearance of Banganga, legends mention that a thirsty Lord Rama shot an arrow at the site leading to the gushing stream of water from the ground. Whatever the legends and mythologies have it, Banganga tank has its own sacred importance and devotees flock the place to pray. This music festival is celebrated for two days in the month of January very year. Banganga Festival Mumbai is arranged by the Maharashtra Tourism Development Corporation to encourage tourism in the state of Maharashtra.Banganga Festival in Mumbai is one of the most awaited festivals which are celebrated in the month of January for 2 days every year. The venue for this musical event is the picturesque Malabar Hills. The festival is organized by the Maharashtra Tourism Development Corporation and the motive behind this festival is to boost travel and tourism in the state. The festival pays tribute to the heritage of Mumbai through the medium of music and rhythm. 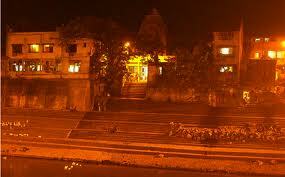 It owes its name to Banganga Tank which is a sacred tank in the Walkeshwar Temple complex. Held on the Malabar Hills in South Mumbai, the festival is attended by classical music lovers from all corners of India. Accomplished artists from all over the country perform live at the venue of the Banganga festival.Mumbai the city of dreams and has distinct heritage which has its manifestation in the Banganga festival. A compliment to its legacy through rhythm and music, the festival promotes landmark sites, comprising of a number of temples, dating back to the 6th century BC.No matter what legends state, Banganga Tank is worshipped by people with the utmost reverence. It is said that the tank was built by the kings of Silhara Dynasty, who ruled from the 9th to the 13th century. In 1715, the tank was renovated and restored with the donations.